Who is Miss Go 2 Girl for? Individuals and businesses that may not need a full time resource but who requires a professional office environment, quality skills, productivity and outcomes without administrative responsibilities, office leasing & staffing on costs. -Act as a confidential, trusted ‘right hand’ and business partner working behind the scenes. -Act as your ‘first point of contact’ with clients. -Take messages and forward on. -Schedule your meetings and appointments straight into your calendar. -Reminding you about important dates and events. -Clear out and organise your inbox. -Monitoring, categorising, responding and prompting on urgent requests. -General typing of letters, memos, file notes, reports, contracts, proposals, etc. -Mail merging, Excel spreadsheets, PowerPoint presentations, small and large copy typing. -Design and format the slides for your next speaking event in PowerPoint. -Proofread and edit that next proposal submission. -Update your company Procedure and Training Manuals. -Set up templates to match your new logo design. -Research and book flights, accommodation, hire cars and transfers for your upcoming trip. -Organise your next corporate or staff event from beginning to end. -Special occasions, dinners or celebrations. -Plan, schedule, coordinate and manage logistics for all your internal/external executive meetings, conferences and workshops. -Preparation of agendas, presentations and management papers/report distribution, minute taking and action item follow up. -Sourcing of venues, booking rooms and resources, distributing invitations, ordering catering, audio visual equipment and video/conference facilities. -Streamline your electronic filing system. -Provide project support for a new major client. -Create and maintain your Social Media presence. -Assist in the design and maintenance of your new company website and intranet. -General updating and maintenance of database. -Help merge your database to the new CRM system. -Keep on top of your bill payments. -Collate and record your financial transactions for the tax man. -Personal errands, for example: purchase gifts, pick up dry cleaning, meet delivery men, book restaurants, organise weekends away and many more…. -Assist with relocations – sourcing real estate agents, rentals/holiday lets, removalists, packing/unpacking, furniture purchases, set up the house, cleaning, utilities connection and many more…. IN NEED OF ONE OR MORE OF THESE SERVICES? MISS GO 2 GIRL is all about the calibre of individual and the quality of work being performed at the best cost to you and/or your business. MISS GO 2 GIRL works from a virtual online office. NO office leasing costs required. NO staffing on costs required. Less experienced or temporary staff take longer to do the job, absorb more of your time and quite possibly make more mistakes. You train them up with skills and knowledge and then they leave your business. And you have to provide an office and a desk and equipment for them to work from! It’s not the RATE! It’s the COST! MISS GO 2 GIRL packages are now boarding. 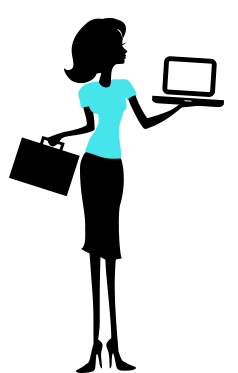 Check in at MISS GO 2 GIRL for all your executive assistance. NO luggage required! For your urgent or once-off projects. Our discounted economy rates are perfect for larger projects on an as-required basis. Payable monthly and invoiced at the end of each month. Business clients have the peace of the mind of securing executive business support over a longer term engagement. Minimum of 6 month commitment. A confidential right hand to support your business when you need it most. First class clients enjoy peace of mind with priority turn around and first class service. Minimum of 12 months commitment. Payable and invoiced 3 months in advance for a period of 12 months (4 x instalments). Looking for a more personalised package? 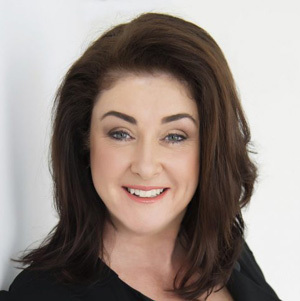 Hi I'm Nicole, a professional, corporate Executive Personal Assistant that has worked in varying private, public and ASX listed organisations throughout Australia and overseas over the last 15+ years at CEO/MD/High Profile Executive level. I have experience within Professional & Financial Services, Sport & Entertainment, High Profile Athletes, Media, Broadcasting & Production, Mining & Resources, Utilities and Health industries. MISS GO 2 GIRL was born in July 2016 to assist you (and me) in continuing to enjoy our great living choices by providing a professional office environment, quality skills, productivity and outcomes that add value to your business and lifestyle without the burden of administrative responsibilities, office leasing and staffing on costs. I work from a virtual online office with all the modern technologies. I am contactable via mobile, text, email, website or social media. MISS GO 2 GIRL looks forward to providing efficient and effective executive assistance to you and/or your business in the future. GET ON BOARD! Find out how Miss Go 2 Girl can assist you virtually to increase productivity and take your business to the next level. Simply fill out the form below and I will get back to you with a tailored solution package. Thank you for your interest in our pricing. Please fill out the form below and we will get back to you shortly.